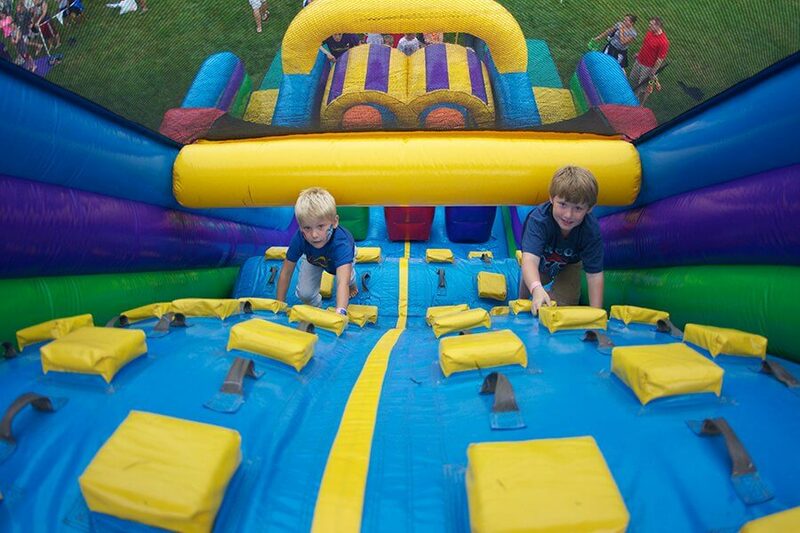 Two opponents begin their assault by entering a tunnel and bashing their way through vertical inflatable tubes. 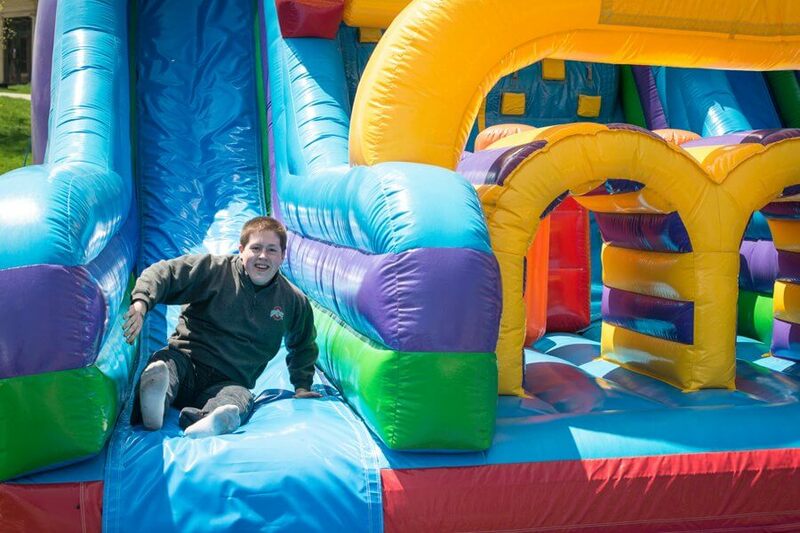 Next, they are confronted with an extreme inflatable climbing wall. 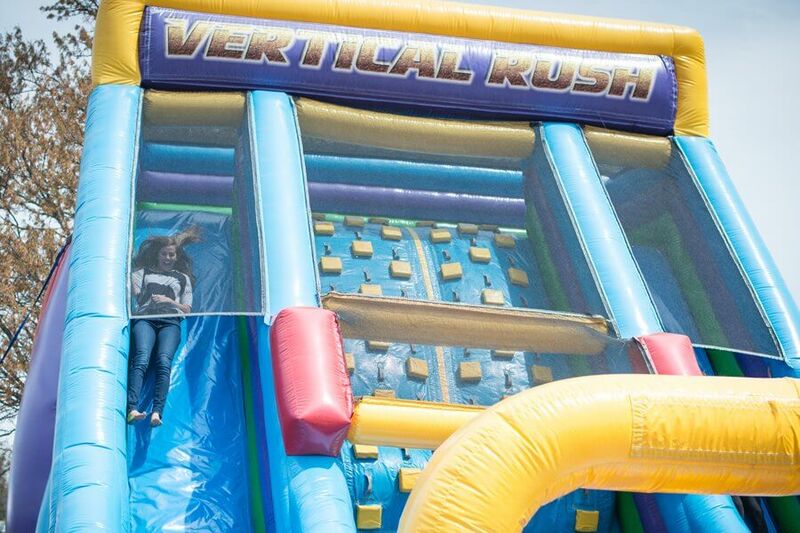 If they make it up the wall, a giant fast slide is waiting to send them flying to the bottom!